In a breakthrough, the CID today arrested two persons, both Bangladeshi nationals, one from West Bengal and the other from Mumbai, in connection with the gangrape of a 71-year-old nun at a convent school in Nadia district that caused a nation-wide outrage. The incident had taken place at Ranaghat in West Bengal 12 days ago. 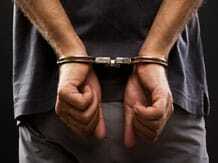 The first arrest was made in Mumbai when Sikander Sheikh alias Salim was picked up in the early hours, while Gopal Sarkar was taken into custody from Habra in North 24 Parganas district in West Bengal, IG, CID (Operations) Dilip Adak told reporters here. He said that Salim, who was arrested from Nagpada area in south Mumbai by the West Bengal police in coordination with their Mumbai counterpart, confessed during interrogation that he had been involved in the crime. "We will get more details after further interrogation," he said. The IG CID said that Sarkar, the other Bangladeshi national, who had been illegally staying in West Bengal since 2002, had given shelter to the culprits, who committed the heinous crime. "We are interrogating him. We will come to know who were the other partners in the crime. We can't disclose anything more at this stage. We will produce him in the court tomorrow," he said. Meanwhile, Salim was produced before the court of Additional Chief Judicial Magistrate Papia Das at Ranaghat and remanded in 14 days of police custody. The nun of Jesus and Mary Convent School was gangraped at Gangnapur in Nadia district of West Bengal in the early hours of March 14 which caused an outrage in the country and abroad, after which a CID probe was ordered into the incident. A study of the CCTV footage at the convent in Ranaghat sub-division had shown visuals of four persons, who were allegedly involved in the crime. The gang broke into the school and three-four of them raped the woman after gagging her. The gang also took away Rs 12 lakh kept in the almirah locker before fleeing the place. The nun was admitted to a local hospital and later taken to an undisclosed destination after being discharged. The West Bengal government had also recommended a CBI probe into the incident.